Ever since I began practicing Falun Dafa, I have tried hard to conduct myself by following the principles of Truthfulness-Compassion-Forbearance. In particular, I have become more tolerant and more enduring, and the efforts have helped to melt away my husband’s stony heart. My broken family was saved. My husband worked for a business that required him to be out of town most of the time due to the nature of his work. He only came home around the New Year holiday. He was selfish in that he seldom cared about how others felt. At the beginning, he took care of the family, but gradually he paid little attention to me and our child. He made a lot of money, about ten thousand yuan a month, but he didn’t give us a penny; he just spent it all by himself. I had a simple mind and didn’t think about this situation much. One day, my son fell, breaking ligaments in both legs. The hospital put two steel pins in his legs. He cried fiercely. So I phoned my husband, but he didn’t pick up. I phoned our neighbor who my husband worked with when out-of-town. He told me that my husband no longer lived in the same unit and had settled elsewhere. That was how I found out that he was having an affair. My husband admitted the affair and wanted to file for a divorce. His mistress phoned me and said things that made me really mad. I couldn’t take it anymore so I fought back. We got into arguments every day. Even my sister-in-law couldn’t take it. She said she would have left if it were her. But I wanted our son to have a complete family, so I didn’t go along with my husband’s plan. I cried every day. It seemed I only lived to exist day to day. My husband didn’t take care of the family or look after our son. So I did it alone. The school was about to let go of my son but he wanted to continue school. After numerous visits to the school and several meetings with his teachers and principal, they finally agreed to let him stay. During these times, I struggled to keep the family from falling apart. 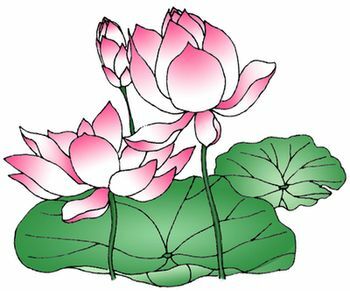 Before July 20, 1999, I read some Falun Dafa books, but the persecution of Falun Dafa made me keep a distance from it and then I gave up the practice altogether. However, my broken marriage made me realise that one should not rely on human emotions in the secular world. So then I began reading Falun Dafa books again. I understood from reading the Fa that everything happens for a reason. The resentment deep in my heart gradually lessened, and I became more and more peaceful. In today’s society, indeed, moral values are sliding downhill, and everyone is a part of it. But human nature is also kind. One day, I suddenly heard that my husband lost about $200,000 in his business. He got some kind of disease and was really sick. His mistress left him. I asked myself, what should I do? As I am a Dafa practitioner, I thought I should do what Teacher asks us to do and measure everything using the Fa-principles. After all, we were once spouses. I should treat him kindly. I phoned him, and it happened to be his birthday. Perhaps he felt that he would not live long. He scolded me and said he wanted to file for divorce and that I didn’t need to take care of him. However, I was no longer the person that I used to be as I now practiced Falun Dafa. I maintained the correct mentality and said to him, “You’re so sick. How can you file for divorce? Just take care of your health and don’t worry about the money for now.” I decided to take him home so he could have treatment for his illness. He was lying in bed, so skinny, like a bag of bones. I took pity on him. His ignorance had caused so much trouble for him. The moment he saw me, he still scolded me and said that I was cheap. I measured myself using the Fa’s standards and ignored what he said. I didn’t want to hold any judgment against him and I treated him well wholeheartedly. When we got home, I borrowed some money and took him to the hospital. The diagnosis was that one lung was destroyed and he had tuberculosis in the other. He needed to be hospitalised. I thought I would just try my best to help and not be concerned about his condition, as everyone has his own fate. Every two weeks we ran out of the money borrowed from others. So I went to some other people to borrow. Many relatives tried to talk me into giving up on him and refused to lend us money. I kept trying. Meanwhile, my husband still scolded everyone he saw: me, the nurses, other patients, and so on. The nurses got angry and didn’t want to take care of him. I went to apologise to them on his behalf. Sometimes he scolded me in front of a crowd on purpose. Actually, I was also angry, but when I thought that I was a Falun Dafa practitioner and that he was a patient, I just disregarded what he said. He wouldn’t let me rest my feet on the corners of his bed, so for a whole night, I stood by the heater to rest. For over forty days, I didn’t get a chance to lie down on the bed to rest. One day, I was so tired that when I spotted a tiny spot on the bed, without thinking much I lay down and fell asleep right away. The doctor happened to be doing routine checks. He said softly, “It has not been easy for her. Just let her take a rest.” People that shared the hospital room couldn’t stand to see how my husband behaved, so nobody paid attention to him. For me, if I weren’t a Falun Dafa practitioner, I wouldn’t have been able to endure the situation. Soon he recovered and went home. When we got home, as he was recovering, I took care of all the nitty-gritty chores at home. I also began working to make money to support the family. I am thankful to Falun Dafa, as all the changes in me came from the practice. It is Dafa that helps me go through all the hardships and return to my true self. Thank you, Teacher Li!